Compost is often referred to as garden gold. This is because, with nothing but time and the proper conditions, the natural process of decomposition slowly turns your kitchen and garden waste into a vital mixture that rebuilds and sustains life in your soil. Earthworms are your garden’s best friend. Worm castings, which are in fact worm poop, are some of the highest quality decomposed material left behind when earthworms burrow underground. Their movements improve the soil structure, creating valuable air spaces between particles that allow water and oxygen to easily get to plant roots. Worms are a sign of health and they can also bring about vast improvements in neglected soil if you set up favorable conditions to nurture them. Most of us in the Dallas Ft. Worth area have heavy clay soils which are typically compacted and low in organic matter. The nutrients in clay are unavailable to plants. This calls for more diversity to make nutrients accessible to support healthy plant life. Excellent conditioners such as worm castings can rejuvenate beneficial microbial activity and promote better moisture retention. 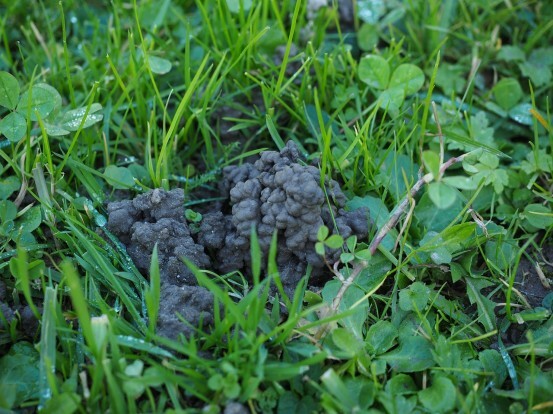 Noticed mounds of this stuff in your lawn? It’s worm poo- and it’s gold! 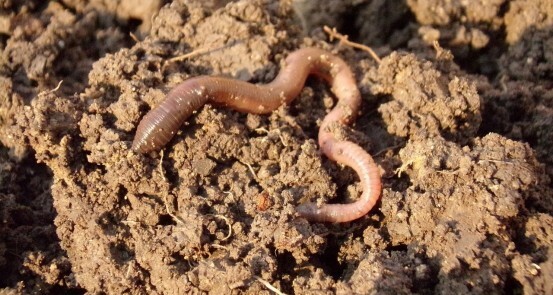 Worm castings provide excellent nutritional value to your soil. You can encourage natural worm populations by gardening organically, even if your only garden activity is mowing the lawn. Simply avoiding chemical pesticides and synthetic fertilizers, which contain salts and other ingredients that are harmful to earthworm populations, will make your landscape a more inviting place for these garden workers. Another easy step you can take to nurture the life in your soil is to allow a build up of leaf litter in certain areas, such as under foundation shrubs. While you need to clear leaves from your lawn to keep it growing properly, you can mow over your leaves in fall to shred them into smaller particles which will slowly break down, adding organic matter which nourishes your lawn. Other factors like watering deeply and adding mulch to bare areas go a long way in creating a healthy environment. As part of our Soil Building program, worm castings are added to your soil in January, May and July for a boost of nutrients. Choosing our organic soil building program is an effortless way to bring vitality to your landscape. We help you have the kind of environment that is important to you. Understanding that soil is the basis for all plant growth and that our air quality is improved by healthy plants, we see how a small change accomplishes much more than we realize.